I understand one nice thing about installing a short shifter is you can add a custom knob without additional modification. Will I need to replace the boot as well? I really like the aluminum Rennline one Pelican has for $95. Will that fit and be aesthetically pleasing with the stock boot? 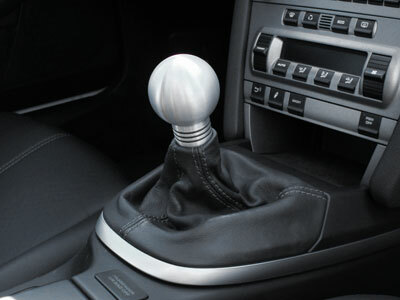 Is there an after market boot that will work well with that Knob? The knob mounts to the shifter the same as the original, so if the aftermarket knob fits the OE shifter, it will fit this one. next, I will shorten the knob so I can see the chromed lever ! I still have one shifter to sell if anyone want ... I was keeping it for my father ... but he bought a 928. Ah. Yes, the knob is integrated with the boot. You will need to buy a new boot if you want to change it, as I can just about guarantee that the original will be too short if you cut it. 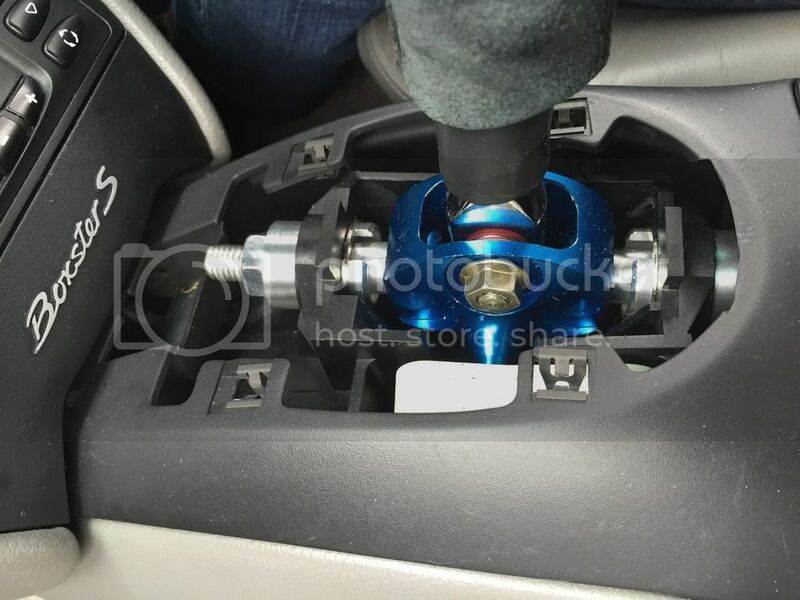 The stock knob/boot is worth something, so you might sell it and put that money towards the new parts. Thank you so much I thought I was going insane. Did the install on Saturday and I love the results. I followed the instructions from the B&M website and it was pretty straightforward. In total it took me about 3 hours but that includes a significant amount of time jackassing around. A lot of people said it took some time for them to get used to the difference but I loved it instantly. 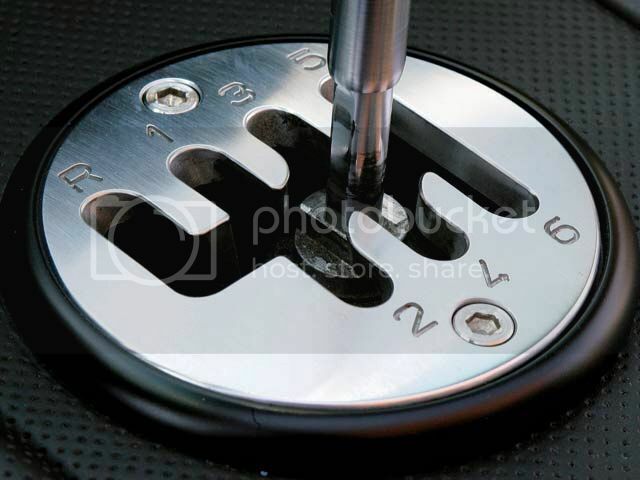 Like others stated it takes a lot more force to change gears but the shifter is very precise, you definitely have confidence that you are in each gear. I did break the plastic piece around the base of the shifter that attaches to the boot but I already ordered a replacement one that comes with the two attached. Once I get the new one in there I will post a couple pics. Also really like the Rennline Knob I bought. When it first arrived it seemed smaller than I thought it was going to be and i was a little unsure if I would like it but I have no doubts now that I installed it. Sorry for the late answer to your PM again. If I can found ten other person interested by the BBSS (Ball Bearing Short Shifter ^^), I can run another serie ! When do you anticipate the next run? Those who are interested, send me a PM so I can keep track. Last edited by mavis.d; 04-16-2015 at 01:50 PM. Does anyone know where I can buy a replacement boot that comes with the mounting clip? All of the ones I have seen are just the leather part. I ordered a new boot online and I broke the clip that attaches to the console trying to put them together. I guess just the clip would be acceptable but i'm not crazy about the boot I got so I would probably prefer to get them together. $22 seems like a lot for just the clip. Still interested in getting the boot/clip together if possible. Last edited by Carlisabadman986; 04-16-2015 at 06:04 PM. Last edited by mavis.d; 04-19-2015 at 02:22 PM. how much short is this shift?